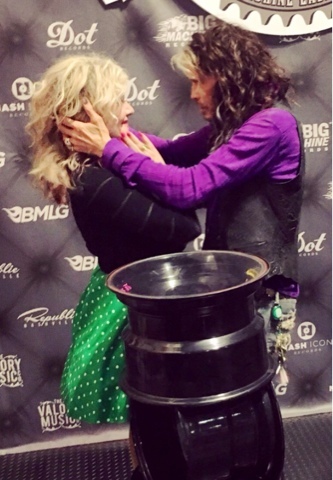 Mr. Nashville: STELLA AND STEVEN TYLER--MOVIES? 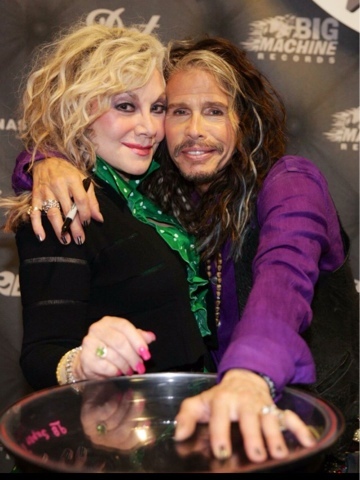 Stella Parton, indie maverick & the younger sister of country icon Dolly Parton has been busy at CMA fest promoting her brand new album Mountain Songbird but she took a break when Big Machine's Scott Borchetta invited her fresh off her WSM Durango Stage performance to meet Steven Tyler. The rock n' roll star was quite taken with her blonde locks and unique style. Stella laughs, "Steven invited me to go to the movies and its a date I intend to hold him too! ".